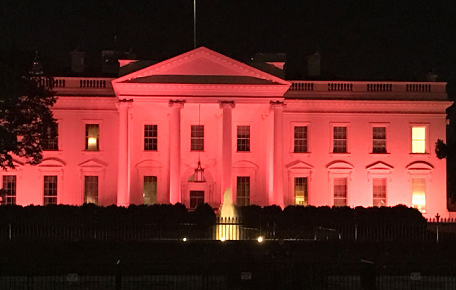 The White House became a pink house Sunday to raise awareness for breast cancer and Melania Trump's got a great view. 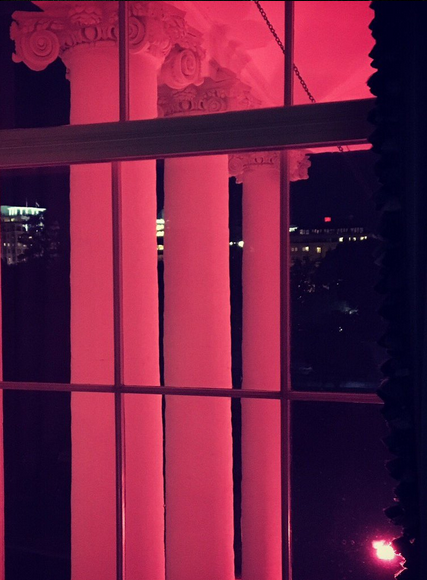 The First Lady tweeted a photo from inside the White House Sunday night, which was illuminated in pink lighting to kick off the start of National Breast Cancer Awareness Month. The timing is nothing short of uncanny ... Julia Louis-Dreyfus just announced last week that she'd been diagnosed with breast cancer shortly after her sixth Emmys win for "Veep." She didn't reveal what stage she's in, but she did take the opportunity to call for universal health care.